Otovent costs below RM100 and is the only clinically proven, non-surgical and drug free treatment for glue ear. What is glue ear or Otitis media ? The ear is divided into three parts, the outer ear canal, the middle ear space (where the infections occur) and the inner ear where the nerves and balance center are located. 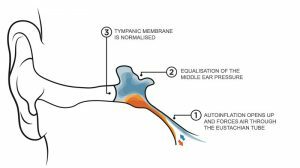 A thin eardrum (the tympanic membrane) divides the outer ear from the middle ear. 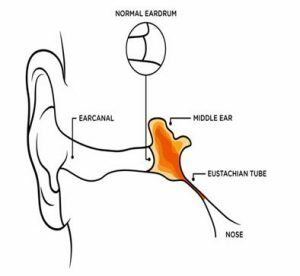 The middle ear is also connected to the back of the nose via the Eustachian tube. If the Eustachian tube becomes blocked- usually due to a common cold-the middle ear will be fill with fluid rather than air. After a while this fluid can become thick and glue like. With glue ear your child will not be able to hear properly. Glue ear is very common, as many as 8 out of 10 children will experience it at least once before they are 10 years old. Otovent® is the only clinically effective, non surgical for glue ear. Regulation of the pressure in the middle ear is a known and important mechanism in the treatment of disorders in the middle ear in children. Normally, the pressure in the middle ear is equalized by swallowing or yawning. If the mechanisms for regulating negative pressure are not fully effective, after a few weeks gluey secretions develops, leading to hearing impairment. Otovent® is a proven first-line treatment option in which up to 50 percent of patients can avoid the insertion of tympanoplasty tubes. The Otovent® method is a clinically proven first-line treatment option to help avoid the surgical insertion of tube into the eardrum. It is a non surgical, drug free treatment for glue ear, and has been recommended by ENT specialists for the last 20 years. The child inflates a small balloon using their nose, and at the same time equalizes the pressure and relieves the symptoms in the middle ear. Blowing up the balloon helps to open up the Eustachian tube, making it easier for fluid to drain from the middle ear. Children can use Otovent® at home under parental supervision. It is painless, harmless and takes only a matter of seconds to perform. Otovent®should be used 2-3 times daily until all the fluid has been drained away. is generated in the nasopharynx to equalize the negative pressure in the middle ear via the Eustachian tube. Children view blowing up the balloon as a game, improving compliance and ease of treatment. No negative effects have been reported or demonstrated in clinical trials. The Otovent® method can be divided into two phases; inflation phase and deflation phase. Inflation phase: induction of the Valsalva manoeuvre (forced expiration against a closed airway) increases the pressure within the nasopharynx. Equalization of the middle ear may occur at this stage. Deflation phase : induction of the Politzer manoeuvre (inflating the middle ear while swallowing) inward moving air flows into the middle ear (Eustachian tube opened while swallowing) to equalize the middle ear pressure. The Otovent® method induces auto inflation of the middle ear by combining two clinically proven treatment techniques (Valsalva and Politzer). Barotitis is an acute inflammation, which occurs due to that a negative pressure builds up in the middle ear. This occurs when there is a change in surrounding atmospheric pressure, e.g. in the cabin of an aircraft, particularly when descending. The characteristics of Barotitis are pain and temporary hearing impairment in the affected ear. Occasionally there may be vertigo and a hearing impairment of a more permanent nature. With OTOVENT® , equalizing the pressure is easy. The incidence of developing Barotitis is approximately 10% amongst adults and 20% in children. In a study published in 2004 it was established that 14% of 188 passengers experienced symptoms of Barotitis . This was reduced to 6% following inflation with OTOVENT®. It’s advised that parents supervise treatment for kids to avoid all unnecessary outcomes. WHAT HAPPENS TO THE EARS WHEN FLYING? Normal pressure in the middle ear. Increased pressure in the middle ear. Negative pressure in the middle ear. The eardrum bulges in and hearing is impaired. During air travel a negative pressure may develop in the middle ear. 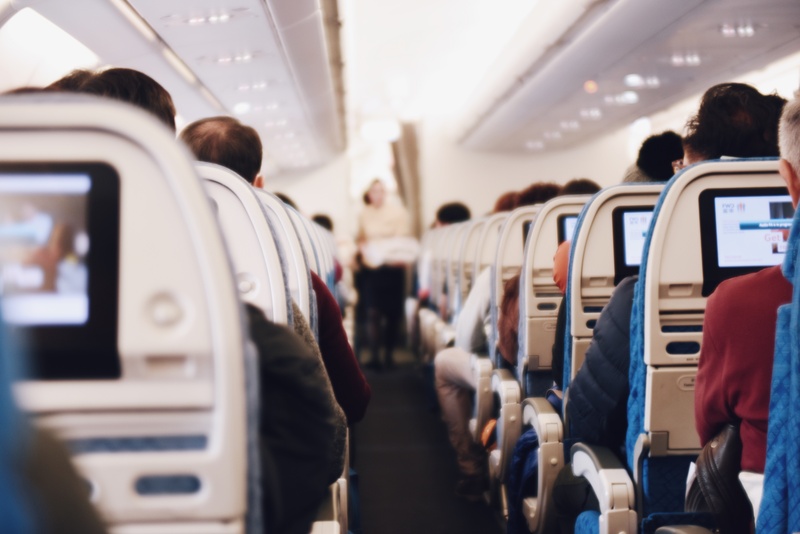 The problem arises in connection with descent when the atmospheric pressure in the cabin increases, whereby a negative pressure behind the eardrum occurs, drawing it inwards. If the negative pressure cannot be normalized this leads to an extremely painful condition, called Barotitis, which may cause vertigo (normally transient) and impaired hearing. It has been shown that children under 8 years old develop varying degrees of Barotitis during air travel. Adults are normally able to normalize the negative pressure by squeezing the nostrils together and forcing air into the ear (this method is called the Valsalva manouevre). However children, and a proportion of adults, have difficulty performing this. The majority of individuals suffering pain from negative pressure in the middle ear can simply use the OTOVENT® balloon in order to equalize the negative pressure. The method is simple to perform and is also suitable for children from the age of 3 years. The OTOVENT® method can easily be treated as a game. Practise by blowing up the balloon a couple of times via each nostril using the nose adaptor before flying (see below). It is advisable to begin equalizing the pressure when descending is announced. Best results are achieved where equalization is commenced before the negative pressure in the ear is experienced. 1. Can I use a normal balloon? No, you should only use an Otovent inflation device, which is a medical instrument specifically designed to apply pressure on the Eustation tubes. If you use a balloon you run the risk of the pressure causing damage or the pressure may be insufficient to alleviate glue ear. 2. Can I just purchase extra Otovent inflation devices? No, Otovent can only be purchased with a set containing 1 applicator and five inflation devices. 3. Can using Otovent damage my ears? No. Otovent has undergone rigorous and comprehensive clinical trials and tests to guarantee its safety. 4. Should my child continue to use Otovent if suffering from a cold? No. Otovent should be avoided if you child is suffering from a cold or nasal congestion. 5. When my child first tried Otovent we found it uncomfortable and did not like the sensation. Is this normal? Like anything that is new to some children, they find using the Otovent device uncomfortable to begin with. One way of overcoming this obstacle as a parent is to try the Otovent device yourself in order to demonstrate that the device is safe and pain free to use. Quite often, a child may experience a “clicking” sensation or movement in their ears, which means the “glue” is moving and that the device is working. 6. How can I help my child inflate the Otovent device? You can either stretch the inflation device to help them get started or inflate the device for them. 7. Can we take the Otovent on an airplane if we go on holiday? Yes. You may use the Otovent on an airplane with complete confidence. The device can be used as normal when your child feels discomfort in their ear. Otovent has also undergone clinical trials which prove it is effective for treating some ear problems caused by flying. 8. What does using Otovent feel like? The Otovent applies pressure to the Eustachian tube that connects the inner ear with the back of the throat. When air travels through the Eustachian tube it equalizes the pressure behind the eardrum with the pressure outside. This causes a popping sensation similar to that you experience when ascending or descending in an aeroplane. If you are suffering from glue ear you will feel the “glue” move. This is as a result of it starting to drain away and is a sign the Otovent is working. 9. Is Otovent available on prescription? Yes. It is available on prescription from your healthcare provider. 10. Will Otovent definitely work? 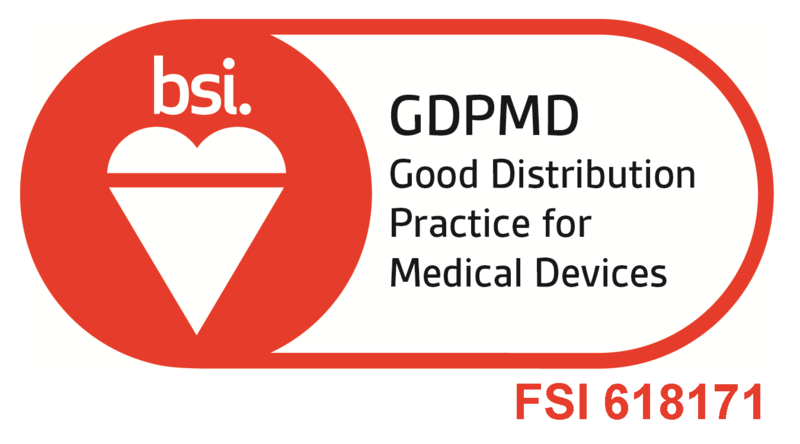 Clinical data demonstrates that Otovent works in 64% of the more severe cases (hospital cases) where the course of treatment is correctly carried out. It is likely (but as yet unknown) that the rates of cure will be even higher when applied earlier e.g. in primary care (at the GPs / nurses practice), but it is just as important to complete the course correctly for good results. The latest research, conducted the University of Southampton (Williamson et al. 2015), has found that children using Otovent® experienced fewer days with any glue ear related symptoms compared to those that didn’t at both one and three months. Read more about the clinical trial on Otovent® here. 11. How often should I use Otovent? The use of Otovent is best spread three times a day or at least twice a day if that is not possible. The manufacturers recommend initial treatment for two to four weeks after which your GP practice should decide whether or not you should continue treatment. 12. 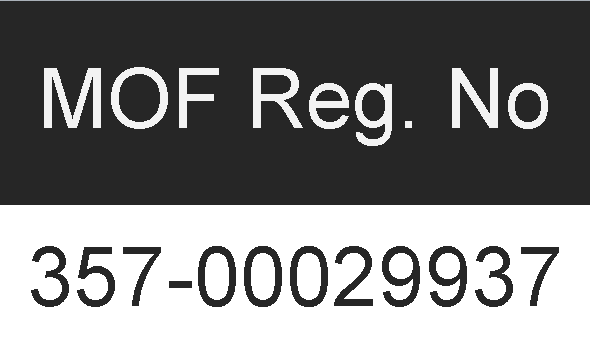 How long has Otovent been available in the Malaysia? 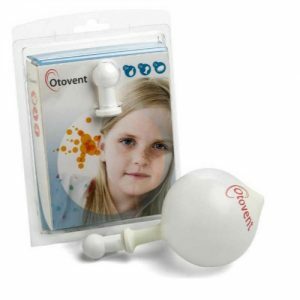 Otovent has been available in Malaysia since 2006 and gradually became a well known option for Otitis Media treatment as well as a preferred tool for air travellers to treat the pain accompanied by taking off and landing. 13. What clinical data is available on Otovent? 14. Who can use Otovent? Adults and co-operative children – some as young as three years of age – can use Otovent. 15. When should I start to use Otovent? Otovent is available over the counter, is very safe, and there is no reason that some families shouldn’t use the device if they wish to, but it is much more likely to be effective if the condition is assessed properly by the health service and individual support is given. Clinical recommendations for glue ear include active monitoring for three months as many children with this very common condition get better themselves without any treatment. Therefore, at the moment, it is best to seek advice based on individual assessment of your child by the GP or practice nurse on how long to wait before trying this treatment. Hopefully research will resolve this important question in the not too distant future. Ideally it should be applied at a stage where your child has sufficient ear related problems (not just fluid in the ears because this is very common) to make treatment worthwhile.